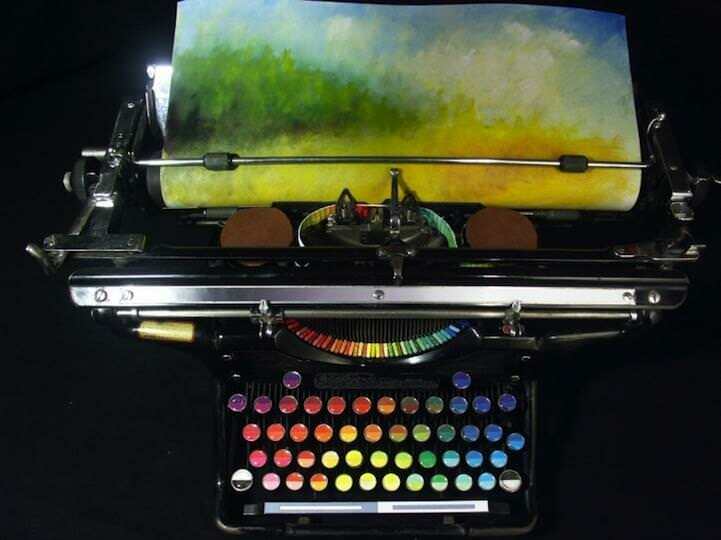 Everyone has heard of a typewriter that types, but how about one that paints? 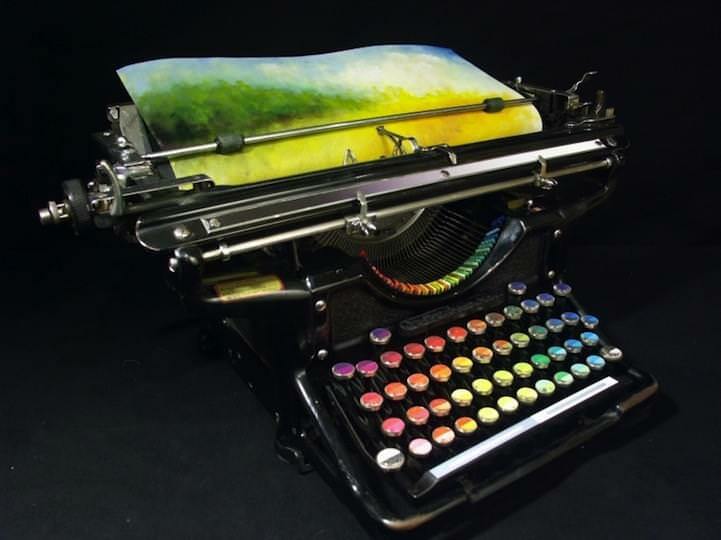 For West Collection’s Annual Artist Competition, Tyree Callahan modified a 1937 Underwood Standard Typewriter that can do just that. Although he was intrigued by the concept, Callahan didn’t believe he could actually make one that worked. Still, curiosity got the better of him, and he decided to give it a shot. 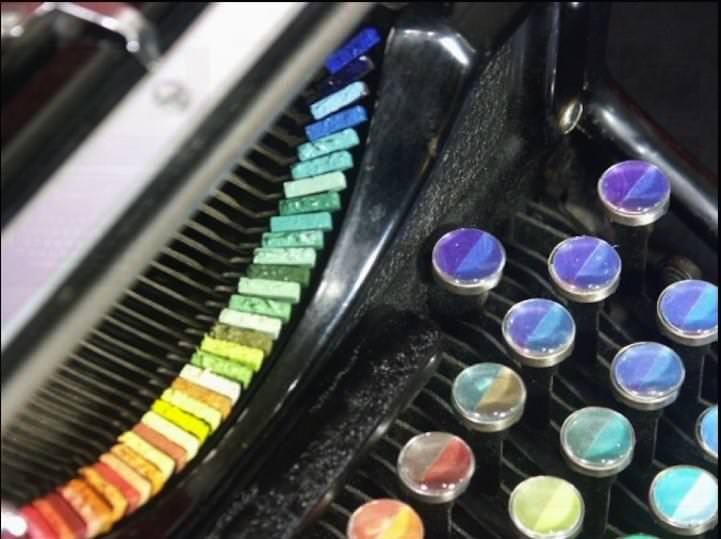 His friend found an old typewriter in an antique store near his studio, and he worked on it over the month of November. “It took about three and a half weeks to clean it up and put it all together. I had the toughest time cleaning it up: it must’ve had four decades of nicotine tar on it! I pictured some sort of Hunter S. Thomson/Edward R Murrow type hunched over it, chain-smoking and struggling with a story. 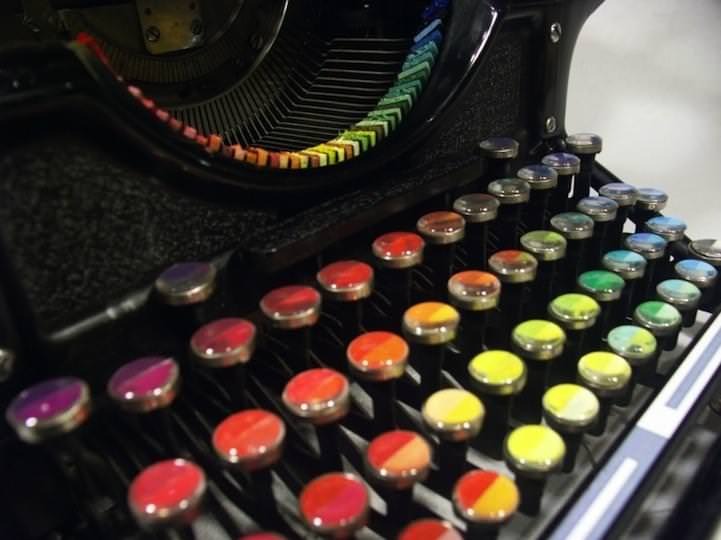 Dubbed the Chromatic Typewriter, each key holds a different tone of paint which can be transferred onto paper. It’s not entirely a practical invention, as the paint has to be reloaded manually, but an interesting experiment nonetheless! Like this project? 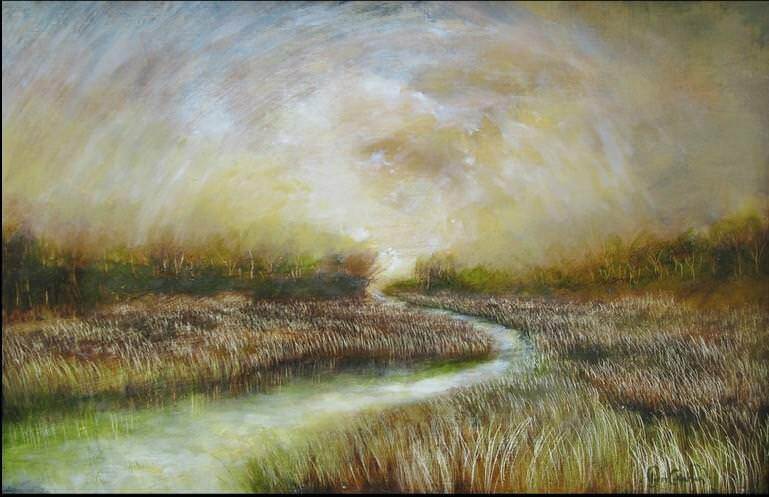 You can check out more of Callahan’s work on his website. Here are 11 things you never knew about the MTV Video Music Awards. While many characters, such as Anna and Elsa, have had complete story arcs with a start and finish, there are plenty of characters who are introduced then just seem to be forgotten about.